Brandeis National Committee is dedicated to providing philanthropic support to Brandeis University, a distinguished liberal arts and research university founded by the American Jewish community. Our membership comprises women and men who share a passion for life-long learning and for the mission of Brandeis University. The Middlesex Chapter offers many exciting learning opportunities and events in the East Brunswick, North Brunswick, Edison, Milltown, Highland Park, Metuchen, Monroe Township, South Brunswick, and New Brunswick communities. Our members enjoy study group sessions, book clubs, and charity volunteering. In October 2012, we got involved in politics and hosted an event on "Women and the Election" where Professor Susan J. Carroll, a senior scholar at the Eagleton Institue at Rutgers University spoke on the role of women in the current presidential campaign. 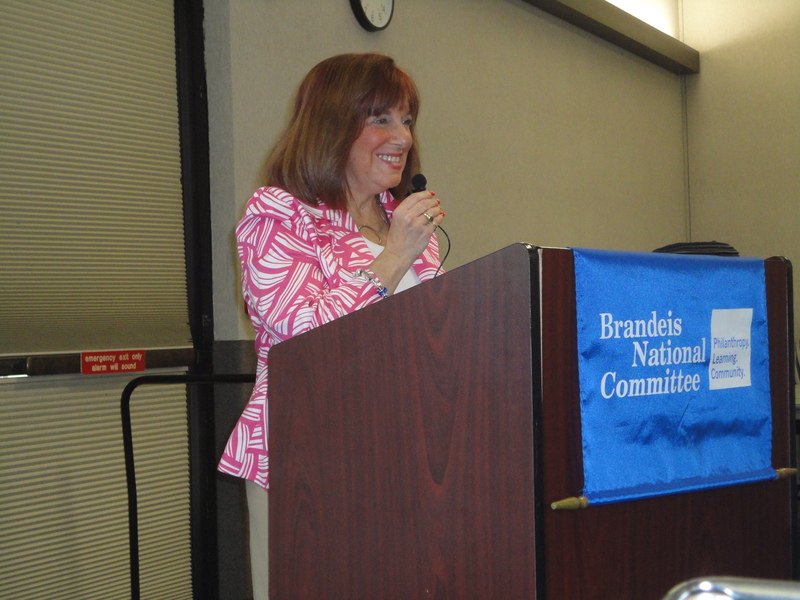 The event was sponsored by Brandeis National Committee, Middlesex chapter and the East Brunswick Public Library. In November 2008, Bernard Rader and his wife, June, received a certificate of appreciation from Sandy Friedman, then copresident of the Middlesex chapter of the Brandeis National Committee, honoring his WWII accomplishments. We are a very active chapter and would be happy to welcome you to our BNC family! The Middlesex chapters honors our soldiers with cards that are sent year round. This special program goes through the Million Thanks Project.